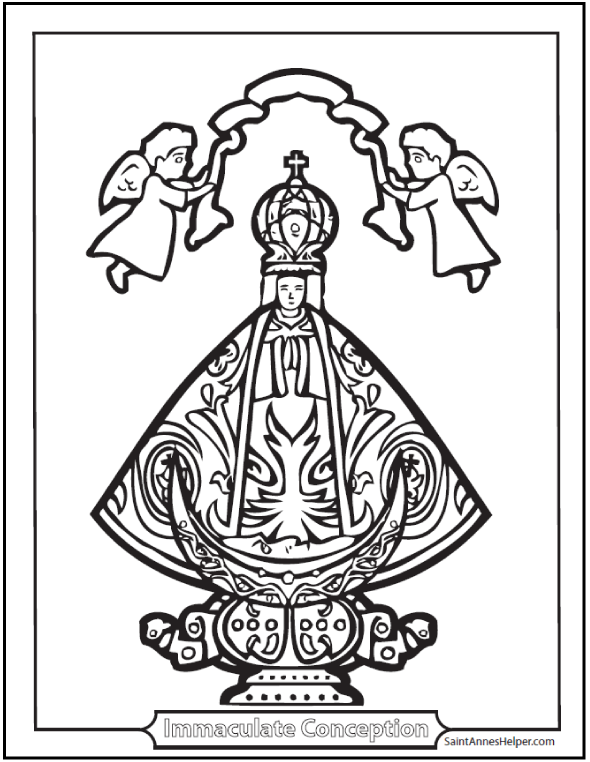 Immaculate Conception Coloring Page - Happy feast Day! 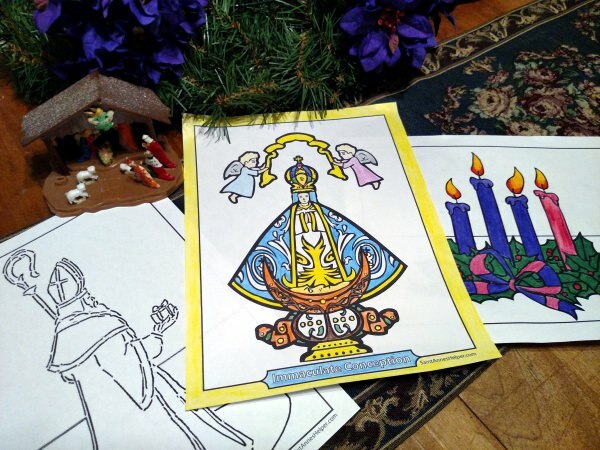 This first image is a darling Immaculate Conception coloring page and is great for teaching the Catholic holy days of obligation. The Blessed Virgin Mary is the Immaculata and appeared to St. Bernadette in Lourdes, France in 1858. 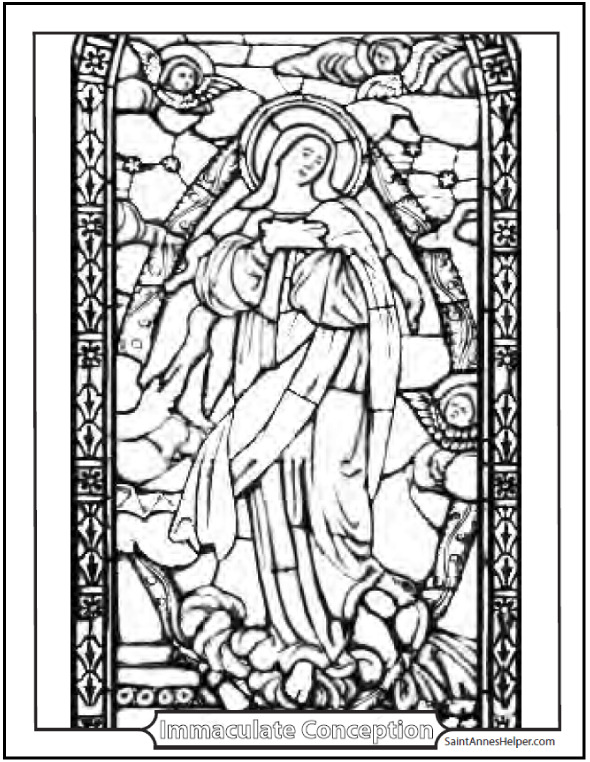 The other two pictures of the Immaculate Conception are from stained glass windows. Each of these prints 8.5x11" PDF single sided. 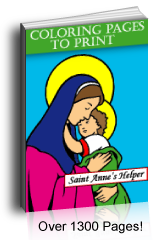 Print a picture of the Immaculata here. The feast of the Immaculate Conception is December 8, the first holy day of obligation in the liturgical year during Advent. What's neat is that at this time there are three holy days in less than one month, three of the six are finished for the year by the beginning of January. This feast goes back to Adam and Eve and the Fall of mankind, Original Sin. They lost supernatural grace. How would they get it back? God promised them the Redeemer. Mary would be the Savior's mother and had to be perfect so she was conceived with no sin - immaculate. The New Marian Missal, 1947, says "In these words the Immaculate Conception of the Blessed Virgin Mary was announced to our first parents. It was to be the reversal of the friendship with the serpent contracted by Eve, when she listened to his voice and fell under his power. The second Eve was never to be under the power of the devil; the enmity between them was to admit of no possible exception. This involved the grace of being conceived immaculate. Mary's Immaculate conception was the foundation of all her graces. The absence of any stain or spot of sin distinguished her from all the rest of mankind. It distinguished her from the holiest of the Saints, since they, one and all, were sinners. Her perfect sinlessness was the source of all her glory and all her majesty; it was this which opened the door to the unlimited graces that she received from God; it was this that qualified her for her divine maternity, and raised her to her throne as Queen of heaven." Pope Pius IX declared the Immaculate conception and Our Lady appeared to St. Bernadette in Lourdes to say the same: "I am the Immaculata". 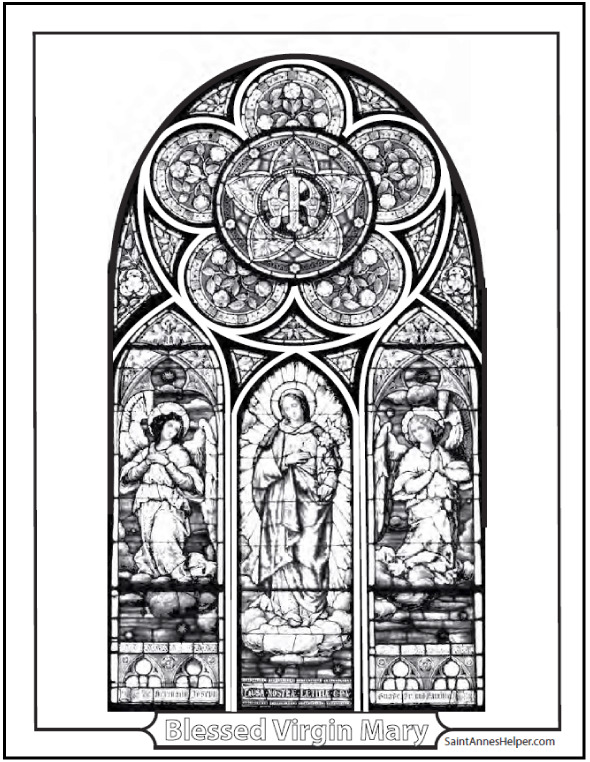 Sweet Immaculate Conception Coloring Page For December 8. Happy feast day!